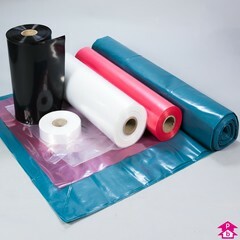 We stock many types of polythene film supplied on the roll such as polyrolls, poly sheeting and covers. 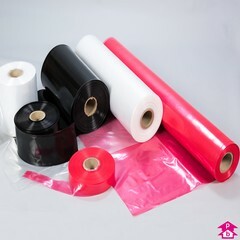 Poly-tubing (Layflat Tubing) is used for wrapping difficult to bag items such as plants, posters and light tubes and we also sell manually operated heatsealers to permanently seal your wrapped goods. 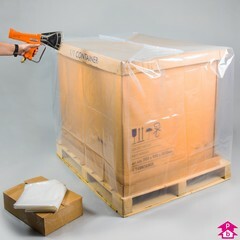 Where more comprehensive covering is required we also stock antistatic LFT and a large range of wide sheeting sizes and shrinkable pallet covers for outside and in-transit protection. 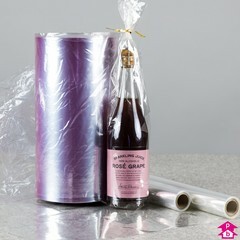 Rolls of polythene are often referred to as film on the roll, or simply as a polyroll or polythene roll. 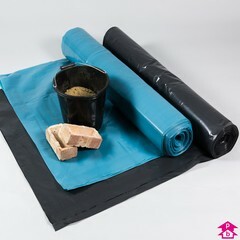 2 Products. Extremely thick (minimum 1000 gauge!) 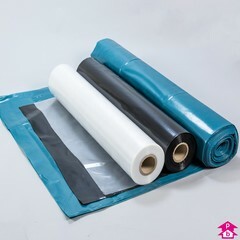 polythene sheeting that has been BBA Approved (British Board of Agreement) for use as a Damp Proof Course usually available in Blue and made from recycled polythene.